I am very happy to review books on request from publishers in exchange for an honest review. My preference is for crime thrillers, psychological thrillers, horror, police procedurals etc so please do not be offended if I turn down other genres. If you would like me to review your book please email me at damppebbles@gmail.com giving a brief outline of the book and any deadlines that need to be met. 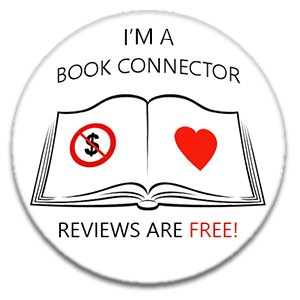 I’m happy to review paperbacks, hardbacks and eBooks, providing it can be sent to my Kindle email address. I love blog tours. If you’re having a tour then please do consider me. As I said, I LOVE 💕 blog tours! Also keen to do cover reveals, author interviews and most other promotional or launch events. My reviews are always honest but I will not post a bad review. If it turns out that your book isn’t my cup of tea I will contact you to explain this. Anyway, you’ve found me on here. If you’re on Twitter give me a follow @damppebbles, my Facebook page is facebook.com/damppebbles or email me at damppebbles@gmail.com. Just another quick reminder that I am not accepting any new requests, be it a book review or blog tour stop from 22nd March 2018 onwards. I would also like to add that should you still wish to contact me and you refer to me or the blog as ‘Damp Pebbles’ or ‘DampPebbles’, your email will be ignored. Apologies for the huff bookish friends but my name is Emma and the blog is called ‘damppebbles’ (or ‘damppebbles.com’ if you prefer! ).